This my final share for the holiday season. It includes more decadent food stuff that will only add pounds and inches to your hips. But I promise they will taste yummy and will not disappoint any palette. 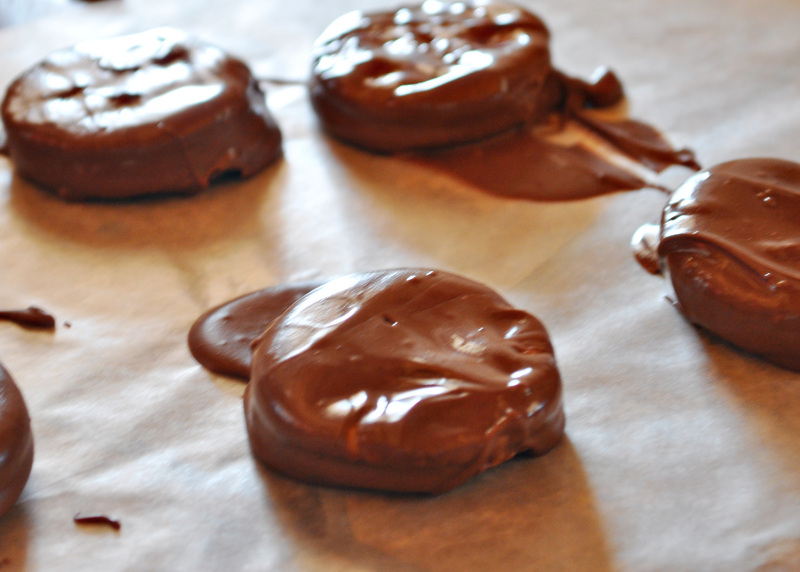 I don’t have a real name for these except they are chocolate dipped Ritz crackers with peanut butter in side. 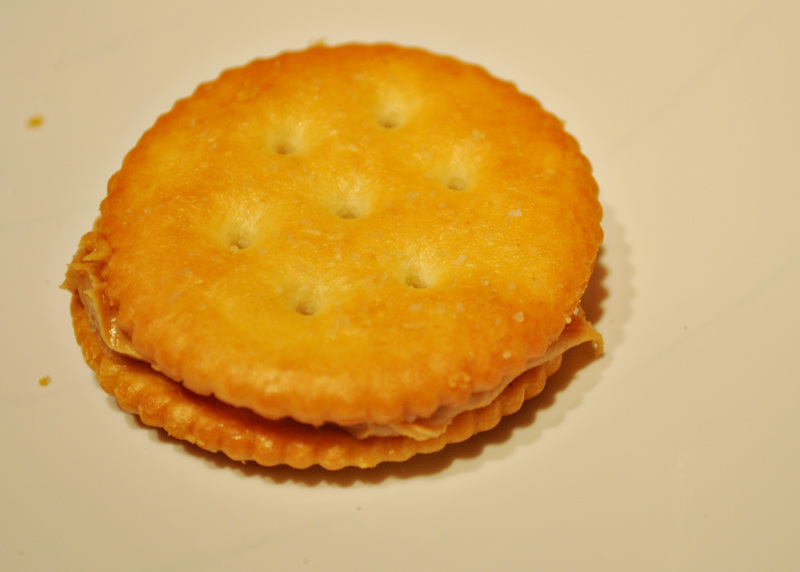 The light crispy cracker makes these too wonderful to leave at just one cookie. Here are the main characters in this little play. This is so simple. 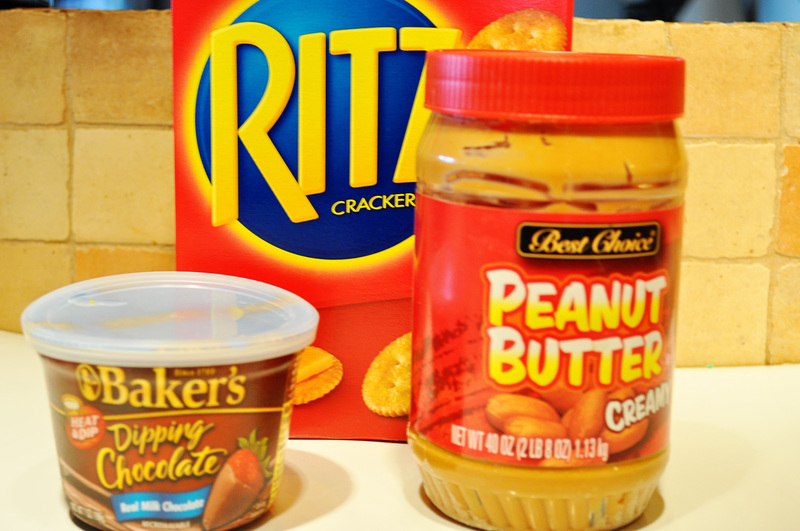 Take the peanut butter and smear it on the crackers, but not too thick. I don’t like to be gnawing peanut butter all day. 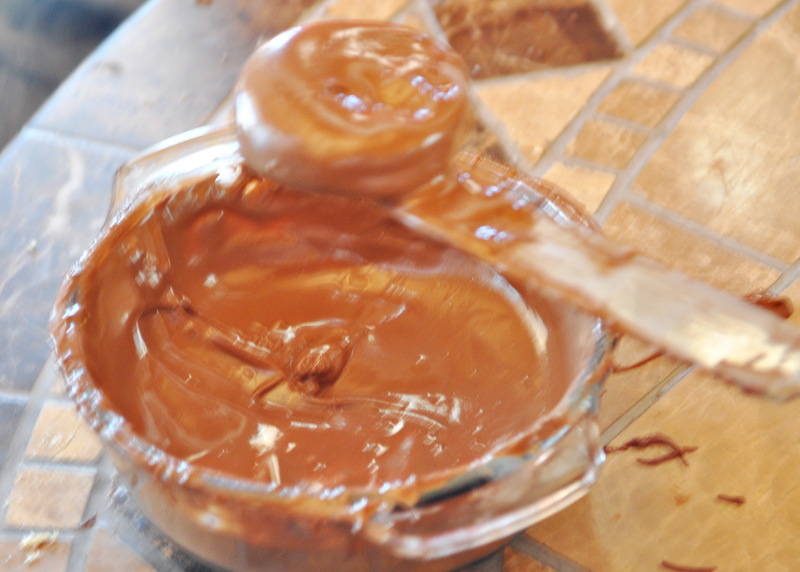 Top that with another cracker and you are ready for the good stuff – meaning chocolate. 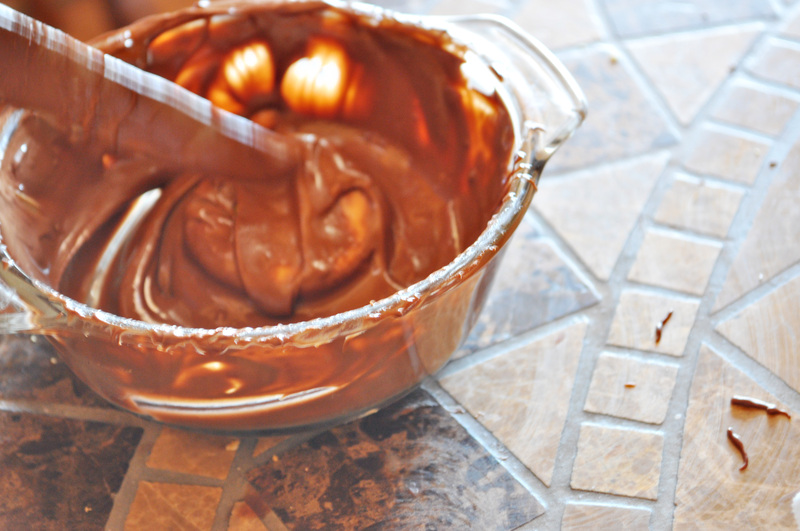 Melt down some chocolate disks or chocolate almond bark in a bowl (I microwave them). Now these gems are to be covered and slathered in chocolate and then laid on a sheet of wax paper to be placed in the refrigerator for a few minutes until the chocolate hardens. They are messy otherwise. The final product is this little thing that resembles something else, but I won’t go there. These are decadently delicious. I forgot to take a picture of the inside, but these don’t lay around very long. 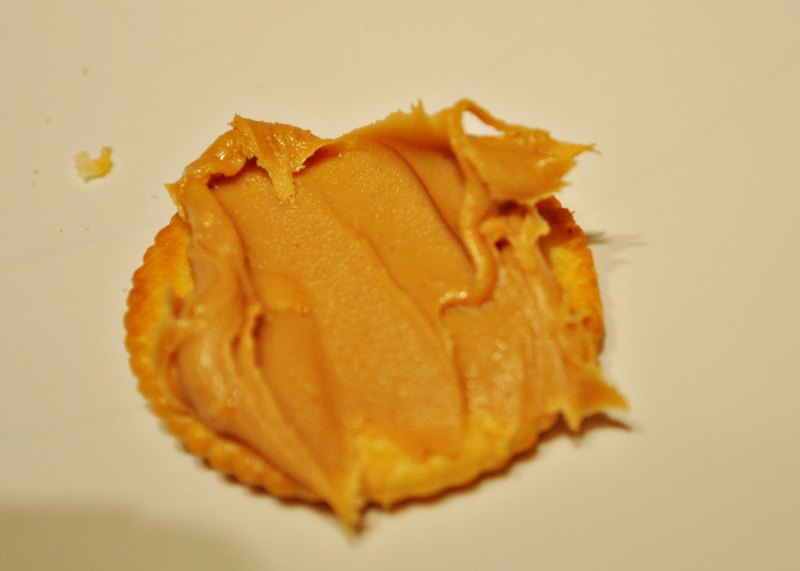 The light crispy cracker gives the peanut butter an airy feel and the chocolate coats your mouth with deliciousness. Enjoy this little piece of my heaven. These sound HEAVENLY! I’m going to try these. (Who am I kidding? I’m gonna show Hubby and get HIM to make them!) LOL!